This post is dedicated to J.M. in Maryland, because she loves pretty pictures. Researchers from North Carolina State University have found that the transfer of triplet excitons from nanomaterials to molecules also creates a feedback mechanism that returns some energy to the nanocrystal, causing it to photoluminesce on long time scales. The mechanism can be adjusted to control the amount of energy transfer, which could be useful in optoelectronic applications. Felix N. Castellano, Goodnight Innovation Distinguished Chair of Chemistry at NC State, had previously shown that semiconductor nanocrystals could transfer energy to molecules, thereby extending their excited state lifetimes long enough for them to be useful in photochemical reactions. In a new contribution, Castellano and Cédric Mongin, a former postdoctoral researcher currently an assistant professor at École normale supérieure Paris-Saclay in France, have shown that not only does the transfer of triplet excitons extend excited state lifetimes, but also that some of the energy gets returned to the original nanomaterial in the process. 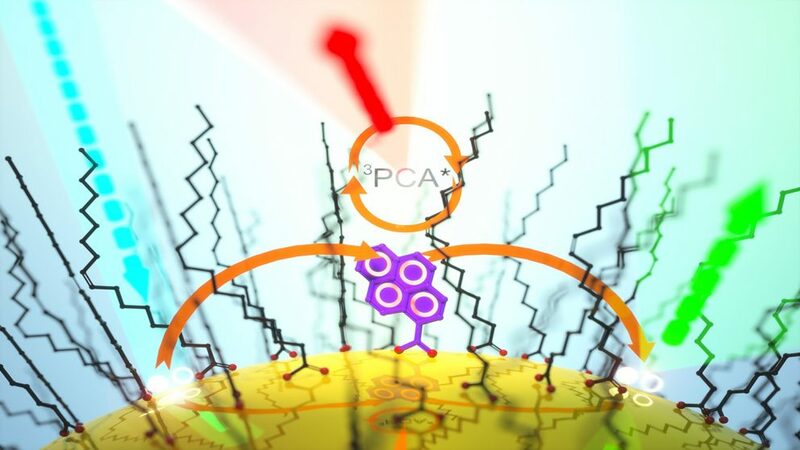 Taking the experiment one step further, the researchers then systematically varied the CdSe-PCA energy gap by changing the size of the nanocrystals. This resulted in predictable changes to the resultant excited state lifetimes. They also examined this process at different temperatures, yielding results consistent with a thermally activated energy transfer mechanism. The work appears in Nature Chemistry, and was supported by the Air Force Office of Scientific Research (FA9550-13-1-0106) and the U.S. Department of Energy (DE-SC0011979). Mongin is first author and Castellano is corresponding author. Pavel Moroz and Mikhail Zamkov of Bowling Green State University also contributed to the work. Researchers from North Carolina State University and MIT have found a simpler way to deposit magnetic iron oxide (magnetite) nanoparticles onto silica-coated gold nanorods, creating multifunctional nanoparticles with useful magnetic and optical properties. Gold nanorods have widespread potential applications because they have a surface plasmon resonance – meaning they can absorb and scatter light. And by controlling the dimensions of the nanorods, specifically their aspect ratio (or length divided by diameter), the wavelength of the absorbed light can be controlled. This characteristic makes gold nanorods attractive for use in catalysis, security materials and a host of biomedical applications, such as diagnostics, imaging, and cancer therapy. The fact that the magnetite-gold nanoparticles can also be manipulated using a magnetic field enhances their potential usefulness for biomedical applications, such as diagnostic tools or photothermal therapeutics. “The approach we outline in our new paper is simple, likely making it faster and less expensive than current techniques for creating these nanoparticles – on a small scale or a large one,” says Joe Tracy, an associate professor of materials science and engineering at NC State and corresponding author of a paper on the work. The new technique uses an approach called heteroaggregation. 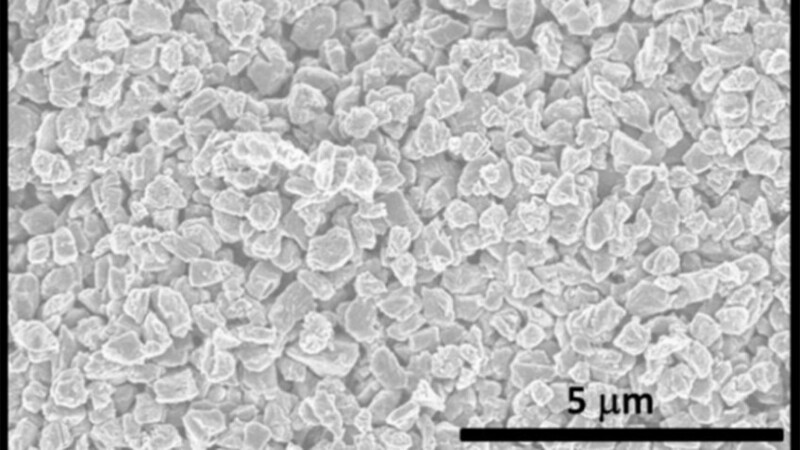 Silica-coated gold nanorods are dispersed in ethanol, a polar solvent. In ethanol, the hydrogen atoms are partially positively charged, and the oxygen atoms are partially negatively charged. The magnetite nanoparticles are dispersed in hexanes, a non-polar solvent, where the charges are not separated. 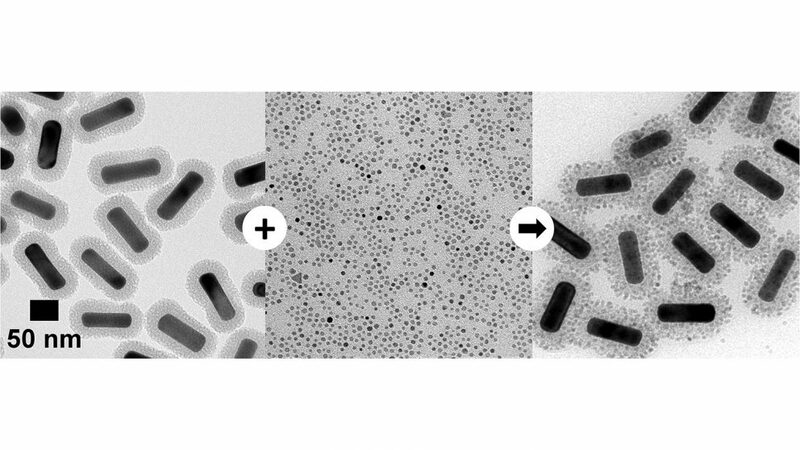 When the two solutions are mixed, the magnetite nanoparticles bind to the gold nanorods – and the resulting magnetite-gold nanoparticles are removed from the solvent using a simple centrifugation process. 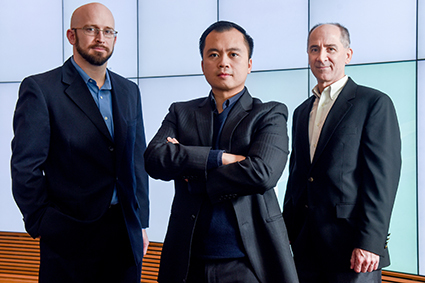 “Our approach also results in highly uniform nanoparticles,” Tracy says. 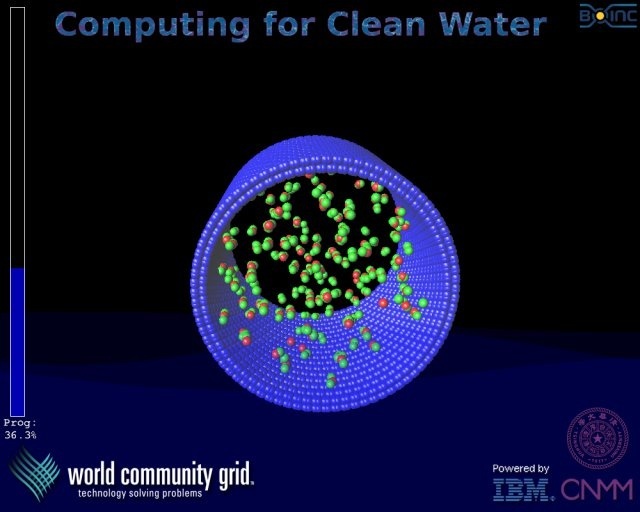 “And by incorporating ligands called PEG-catechols, the resulting nanoparticles can be dispersed in water. 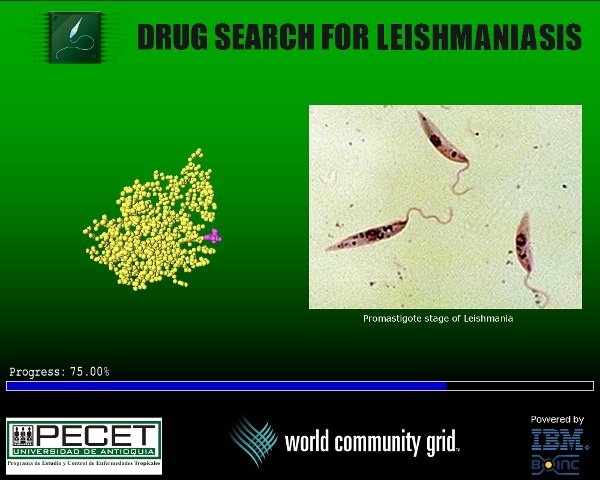 This makes them more useful for biomedical applications. The paper, Heteroaggregation Approach for Depositing Magnetite Nanoparticles onto Silica-Overcoated Gold Nanorods, is published in the journal Chemistry of Materials. The paper was co-authored by Wei-Chen Wu, a former Ph.D. student at NC State; and Qiaochu Li and Niels Holten-Andersen of MIT. 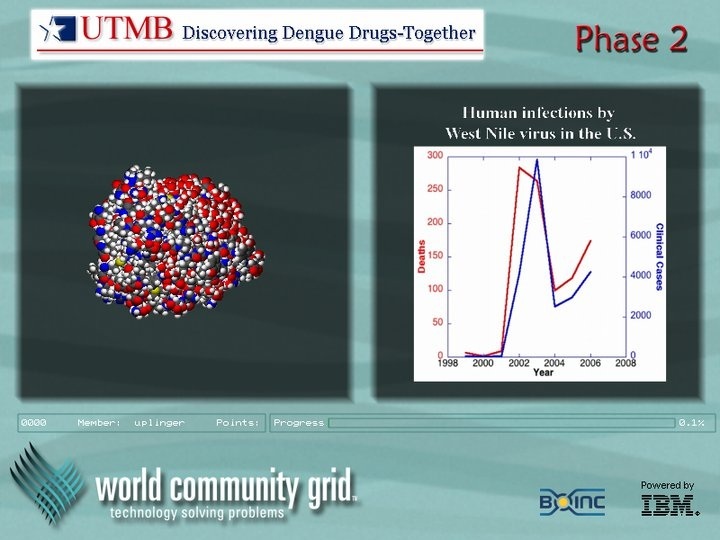 The work was done with support from the National Science Foundation under grants DMR-1121107, DMR-1056653, and CBET-1605699. Caren Cooper wrote the book on citizen science. Literally. That made her a natural fit for NC State’s Leadership in Public Science effort. Cooper is an ecologist whose work involves collaborating with bird lovers to learn more about wildlife and ecosystems in urban, suburban and rural environments. 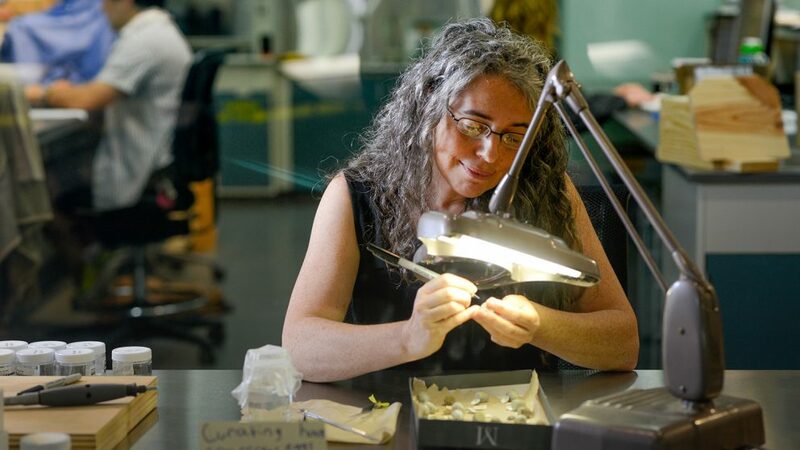 She is assistant head of the biodiversity research lab at the North Carolina Museum of Natural Sciences and a research associate professor in NC State’s Department of Forestry and Environmental Resources. She came to Raleigh from the Cornell Lab of Ornithology, but it was a bit of a homecoming; Cooper got her undergrad degree at NC State. As for her book, citizen science is right there in the title: Citizen Science: How Ordinary People Are Changing the Face of Discovery. You can also see Cooper talk about citizen science and its relationship to public science by checking out her TEDx talk online. Learn about what Cooper is working on. I’m interested in a variety of natural processes and human behaviors related to environmental change. I value and use citizen science approaches to investigate natural-human systems and map environmental changes and disparities. I enjoy exploring the potential of citizen science to manage natural resources and to bring varied hobby groups into citizen science, like birders, nest box monitors, duck hunters, pigeon fanciers, etc. To me, public science refers to science that is transparent, out in the open and accessible to all. I think of citizen science as networks of volunteers helping to advance knowledge and public scientists as professionals building and tending those networks and helping people make meaning of the collective information. I think successful public scientists must be familiar with the teamwork of designing and implementing citizen science, public communication of science in many forms and open science practices from the start of a research project to its completion and again with the next iteration. Citizen science often looks like it is simply people volunteering in service to science, but in a public science context, it is really about bridging the gap between science and society to make sure that science is in service to humanity. When I became a scientist, I liked to do all parts of scientific research myself. That’s how I defined being a scientist: someone who can carry out research independently. My husband and I started a family while I was pursing my Ph.D. Field work became difficult, and my priorities shifted. I was drawn to citizen science at first because it was a way for birdwatchers to collect all the data that I would ever need. Unexpectedly, it also sparked my interest in the social sciences, science communication and open science. I found it puzzling as to why scientists regarded citizen science poorly and typically failed to recognize its many contributions. At first I was bothered by the lack of acknowledging lay expertise and the efforts and abilities of volunteers. Then I became bothered by the lack of acknowledging the limits of scientific inquiry — there are some big questions that scientists can’t answer by working alone. Citizen science is a social movement among volunteers within science, which I find fascinating and exciting. Public science is a movement among professionals to support citizen science and other forms of public engagement in science, while also supporting the engagement of scientists with the public and in the public sphere. 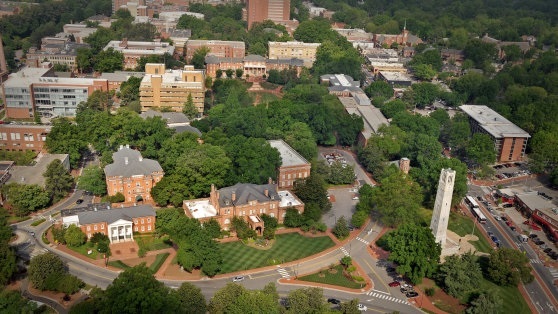 What sort of public science projects are you working on at NC State? I’m helping develop SciStarter.com as a central hub for people to find and participate in citizen science projects around the world. We are also designing SciStarter with tools to help projects become more sustainable by sharing resources related to recruitment, retention and communication with volunteer communities. 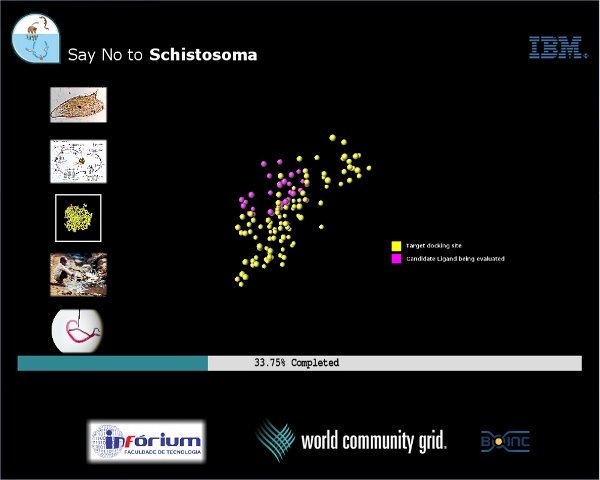 With SciStarter, we will also help advance understanding of the design and outcomes of citizen science. I run a citizen science project called Sparrow Swap, which partners with volunteers who monitor nest boxes and view house sparrows as a pest species. They collect house sparrow eggs according to one of four protocol options and donate those eggs to the collections at the NC Museum of Natural Sciences, where my lab is based. We use the eggs to study geographic variation in eggshell patterns and color, and to determine whether eggshells can be used as a biological tool for identifying and mapping environmental contaminants. Volunteers also collect data on the effectiveness of different management options, including swapping in egg replicas (which we paint at the museum) for real eggs and hopefully reducing house sparrow reproduction and their disturbance of native nesting birds. We are developing an online interactive guide to the basics of wildlife management principles. We are soon launching Sound Around Town in partnership with other universities to support soundscape studies led by the National Park Service (NPS). In Sound Around Town, volunteers will be able to borrow sound recording equipment from their local library and deploy the equipment in their backyards to provide soundscape data to the NPS. They will also use our listening app to ground-truth the recordings and provide information on their feelings and perceptions of each type of sound they identify. Though the equipment loans through libraries will be available only in select cities, we hope volunteers across the country will use the listening app in many urban and residential soundscapes. I’m interested in disparities among communities in noise pollution, which is a combination of actual soundscapes and perceptions of sounds. We are also starting to explore the potential of a citizen science project related to finding feather-degrading bacteria. As a public science cluster, in collaboration with the libraries, we want to make NC State a citizen science campus in which students campuswide have abundant opportunities to do citizen science as part of their campus life. A team of researchers at North Carolina State University has found that current and future neutrino detectors placed around the world should be capable of detecting neutrinos emitted from a relatively close supernova. They also suggest that measuring such neutrinos would allow them to explain what goes on inside of a star during such an explosion—if the measurements match one of two models that the team has built to describe the inner workings of a supernova. 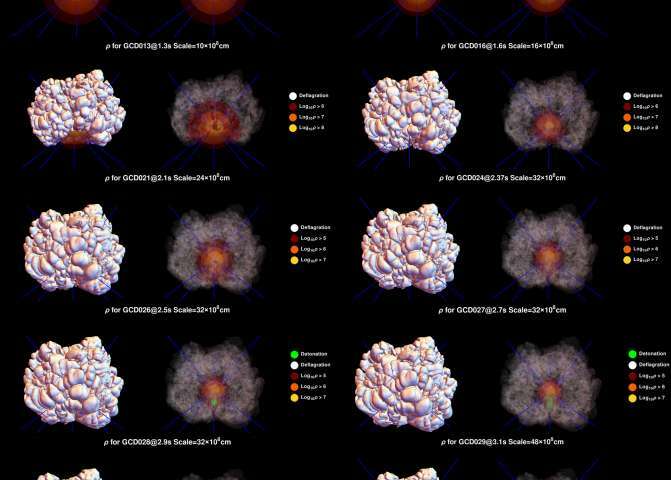 Supernovae have been classified into different types depending on what causes them to occur—one type, called a la supernova, occurs when a white dwarf pulls in enough material from a companion, eventually triggering carbon fusion, which leads to a massive explosion. Researchers here on Earth can see evidence of a supernova by the light that is emitted. But astrophysicists would really like to know more about the companion and the actual process that occurs inside the white dwarf leading up to the explosion—and they believe that might be possible by studying the neutrinos that are emitted. In this new effort, a team led by Warren Wright calculated that neutrinos from a relatively nearby supernova should be detectable by current sensors already installed and working around the planet and by those that are in the works. Wright also headed two teams that have each written a paper describing one of two types of models that the team has built to describe the process that occurs in the white dwarf leading up to the explosion—both teams have published their work in the journal Physical Review Letters. The first model is called the deflagration-to-detonation transition; the second, the gravitationally confined detonation. Both are based on theory regarding interactions inside of the star and differ mostly in how spherically symmetric they are. The two types would also emit different kinds and amounts of neutrinos, which is why the team is hoping that the detectors capable of measuring them will begin to do so. That would allow the teams to compare their models against real measurable data, and in so doing, perhaps finally offer some real evidence of what occurs when stars explode. The researchers also found that the grain boundaries of MoS2 , which have been speculated by the research community to be catalytically active for hydrogen evolution, may only provide trivial activity. Grain boundaries are the boundaries between crystalline domains. The findings point to a new direction for improving the catalytic performance of MoS2 . Currently, the most common way is to increase the number of edge sites, because of the conventional wisdom that only the edge sites are catalytically active. The researchers have also found that there is a “sweet spot” for maximizing the catalytic efficiency of MoS2 . 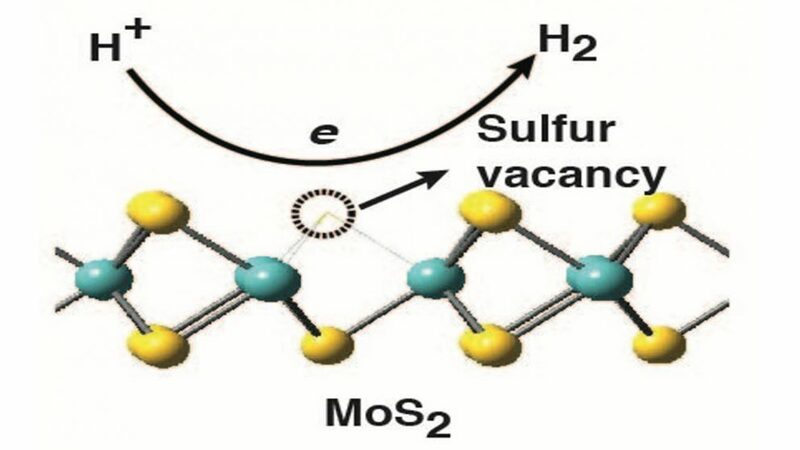 Additionally, the researchers found that the crystalline quality of MoS2 is important to optimize the catalytic activity of the sulfur vacancies. The sulfur vacancies in high crystalline quality MoS2 showed better efficiency than those in low crystalline quality MoS2 , even when the densities of the vacancies are the same. The paper, All the Catalytic Active Sites of MoS2 for Hydrogen Evolution,” is published in the Journal of the American Chemical Society. 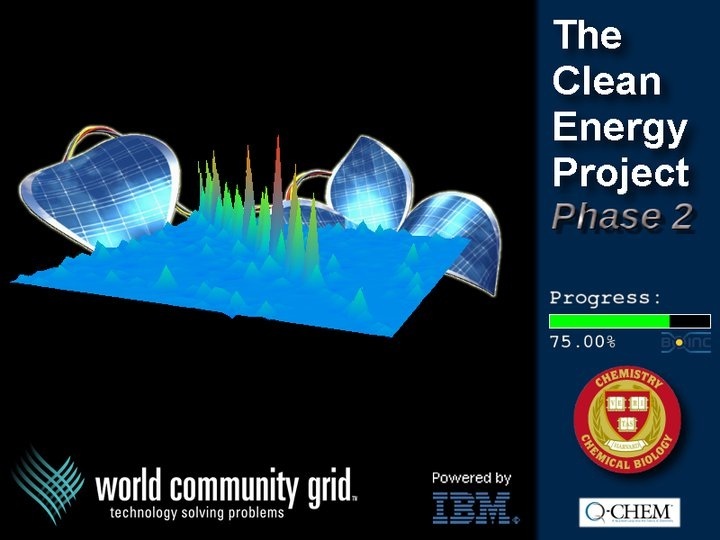 The paper was co-authored by Yifei Yu, David Peterson, Abdullah Zafar, Raj Kumar, Frank Hunte and Steve Shannon of NC State; Du Zhang, Stefano Curtarolo and Weitao Yang of Duke; and Qiao Qiao and Yimei Zhu of Brookhaven National Lab. CRISPR systems have been a hot research topic since they were shown to have utility as genetic engineering tools in 2012. And they’re often explained in a way that most folks can understand. But those explanations often overlook key details – like the fact that scientists are still in the process of discovering the fundamental rules of how these systems work. For example, here’s a simplified explanation: CRISPR-Cas systems protect bacteria from invaders such as viruses. They do this by creating small strands of RNA that match DNA sequences specific to a given invader. When those CRISPR RNAs find a match, they unleash Cas proteins that chop up the invader’s DNA, preventing it from replicating. But of course it’s more complex than that. For example, there are six different types of CRISPR systems (that we know of). One of the most widely-studied CRISPR systems is CRISPR-Cas9, which is a Type II CRISPR system. But the most common CRISPR systems in nature are Type I. And new research from NC State is shedding light on some of the fundamental rules that govern Type I CRISPR systems – such as how long that CRISPR RNA can be, and how changing the length of the CRISPR RNA affects the behavior of the system. 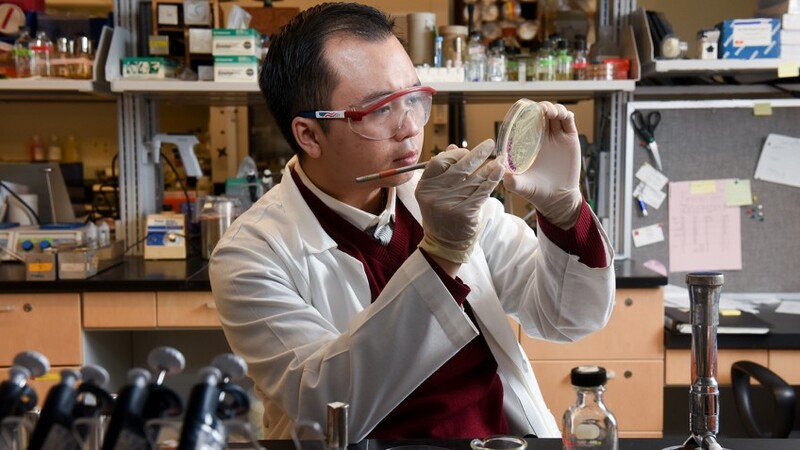 To learn more, we talked to Chase Beisel and Michelle Luo, who recently published a paper on the work in Nucleic Acids Research, in collaboration with two groups at Montana State University. 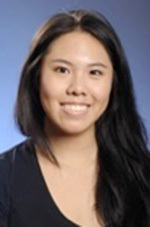 Beisel is an assistant professor of chemical and biomolecular engineering at NC State; Luo is a Ph.D. student in Beisel’s lab. The Abstract: Why are Type I CRISPR systems of particular interest? Michelle Luo: As you mentioned, Type I systems are the most common type of CRISPR-Cas systems. They account for over half of known systems. This is of particular interest as we look into co-opting an organism’s own system for other purposes. While CRISPR-Cas9 is undeniably a revolutionary genetic tool, it relies on importing this foreign Cas9 protein into an organism. This is a non-trivial task. However, if you use an organism’s own CRISPR-Cas proteins, as shown in our earlier work, you can avoid the challenges of expressing a non-natural protein. Because Type I systems are so prevalent, they offer a promising route to explore how a natural CRISPR-Cas system can be exploited for other means. The Abstract: In your recent work, you were evaluating how and whether you could modify the RNA in Type I CRISPR systems. Specifically, you were looking at whether you could modify the length of RNA in Type I CRISPR systems. Why would you want to change the length of the RNA? Luo: Two years ago, a number of papers were published detailing the crystal structures of Type I protein complexes that bind and help degrade target DNA. These publications hinted at the CRISPR RNA serving as a scaffold to assemble the different proteins in the complex. In other words, the RNA serves as a framework for these proteins to grab onto. Thus, we hypothesized that if we changed the length of the CRISPR RNA, we could change the size and composition of the Type I protein complex, and possibly the complex’s behavior. The Abstract: How, or why, might expanding the protein complexes used in DNA recognition be useful? Chase Beisel: Going into the project, we didn’t know if the longer RNAs would allow the complex to even assemble, let alone function properly. We were surprised to find that the longer RNAs still formed a stable complex that could bind and direct the cutting of DNA. Because this complex is larger and recognizes a longer target sequence, we originally envisioned that the complex could be used for more specific DNA editing or for controlling gene expression. The Abstract: When I think of CRISPR, I think of a system that either leaves DNA alone or cuts it up. What do you mean when you say that changing the length of the RNA is more effective at gene repression? Luo: Your summary is on point. Normally, CRISPR-Cas systems survey the DNA landscape, and if they detects a target, they will cut up the DNA with tiny molecular scissors. If the target is not identified, the DNA will be left alone. 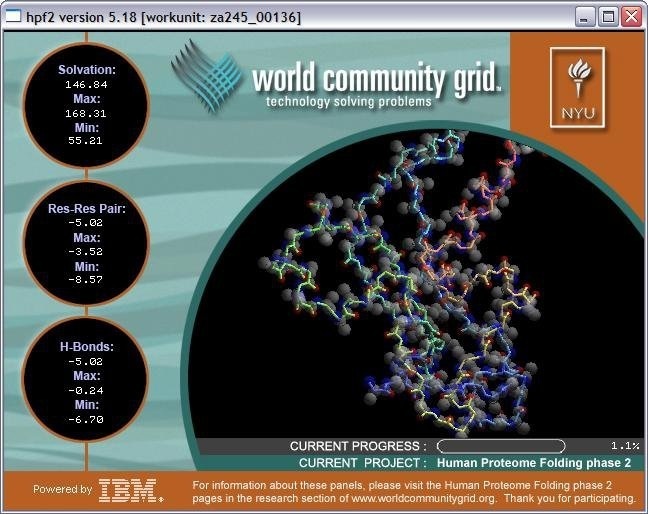 Our earlier work demonstrated that we can prevent the cutting of the DNA by removing the scissors from the equation. We do this by deleting the cas3 gene from the genomic Type I locus. Now, instead of cutting the DNA, the CRISPR-Cas system simply binds the DNA. If we direct these modified systems to a gene, it will block the expression of that gene. Our most recent work shows that changing the length of the RNA can affect how strongly that silencing occurs. For certain regions, the longer the CRISPR RNA, the stronger the repression. The Abstract: Does that make the CRISPR system more specific? I.e., does it allow the system to be more targeted in terms of the DNA it “attacks”? Beisel: We wondered the same thing. We did in fact explore how longer RNAs impact specificity as part of the publication, although the results were mixed. On one hand, more of the RNA was involved in base pairing, where more base pairing would necessarily mean greater specificity. On the other hand, we found the longer RNAs were accommodating to mismatches with the target sequence, suggesting weaker specificity. In the end, more experiments will be needed to explore the question of specificity and how it impacts any downstream uses of Type I systems. The Abstract: How might that gene repression function be used? Are there any potential applications? Luo: Absolutely! This is particularly promising for metabolic engineering. If you want to make a microbial factory to produce a valuable product of interest, such as a biofuel, you have to alter the metabolism of an organism. This requires overexpressing genes that lead to production and turning off genes that compete with production. 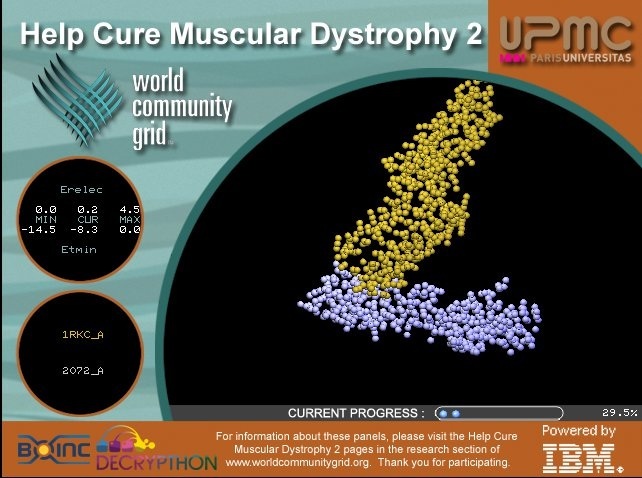 Our system allows researchers to turn off genes in a way that is potent, site-specific, reversible, and multiplexed. 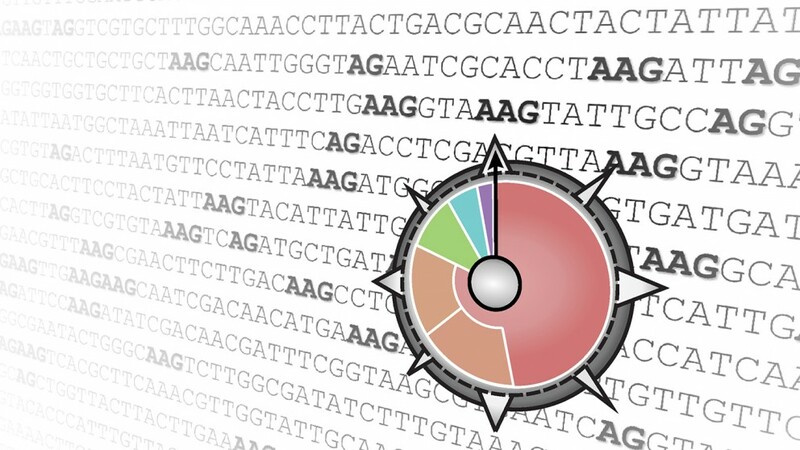 Our latest discovery suggests that you can fine-tune the extent of CRISPR-based gene repression simply by altering the length of the CRISPR RNA. That’s what our recent paper in Nucleic Acids Research is about. The Abstract: What are the future directions for this research? Beisel: Aside from the applications Michelle mentioned, we’re interested in why nature only uses RNA of a fixed length, given that longer RNAs make perfectly functional complexes. We’re also interested in whether this phenomenon applies across the many different flavors of Type I systems, from those that use far fewer proteins in the complex to those found in organisms living at extreme temperatures. A paper on the biophysical model, Modeling ribosome dynamics to optimize heterologous protein production in Escherichia coli,” was published in the Proceedings of the 2014 IEEE Global Conference on Signal and Information Processing. 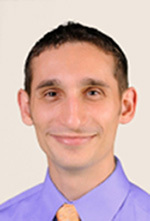 The paper was co-authored by A.A. Bellotti, C.J. Gabriel, H.N. Brochu, E.S. Miller, D.L. Bitzer, and M.A. Vouk. The work is described in two papers, both of which were co-authored by NC State Ph.D. student Anagh Bhaumik. Novel Phase of Carbon, Ferromagnetism and Conversion into Diamond was published online Dec. 2 in the Journal of Applied Physics. Direct conversion of amorphous carbon into diamond at ambient pressures and temperatures in air was published Oct. 7 in the journal APL Materials. The work was supported in part by the National Science Foundation, under grant number DMR-1304607. An extensive study of global habitat fragmentation – the division of habitats into smaller and more isolated patches – points to major trouble for a number of the world’s ecosystems and the plants and animals living in them. The study shows that 70 percent of existing forest lands are within a half-mile of the forest edge, where encroaching urban, suburban or agricultural influences can cause any number of harmful effects – like the losses of plants and animals. The study also tracks seven major experiments on five continents that examine habitat fragmentation and finds that fragmented habitats reduce the diversity of plants and animals by 13 to 75 percent, with the largest negative effects found in the smallest and most isolated fragments of habitat. The study, led by a researcher from North Carolina State University and involving about two dozen researchers across the globe, is reported today in a paper published in Science Advances. The researchers assembled a map of global forest cover and found very few forest lands unencumbered by some type of human development. “It’s no secret that the world’s forests are shrinking, so this study asked about the effects of this habitat loss and fragmentation on the remaining forests,” said Dr. Nick Haddad, William Neal Reynolds Distinguished Professor of Biological Sciences at NC State and the corresponding author of the paper. The study also examined seven existing major experiments on fragmented habitats currently being conducted across the globe; some of these experiments are more than 30 years old. 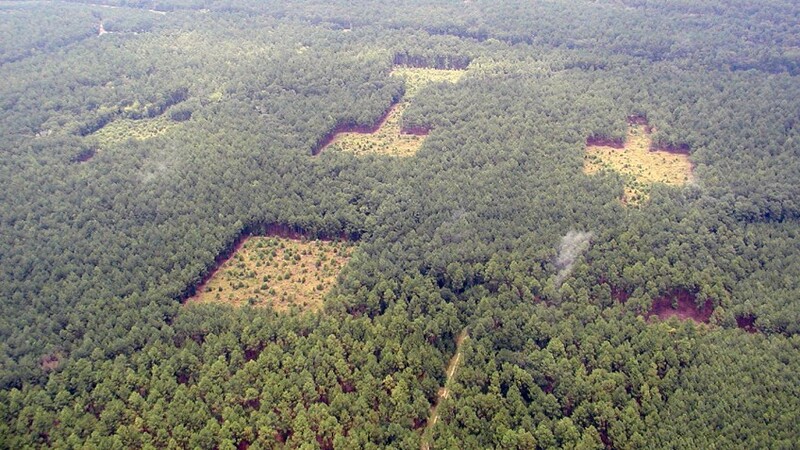 Covering many different types of ecosystems, from forests to savannas to grasslands, the experiments combined to show a disheartening trend: Fragmentation causes losses of plants and animals, changes how ecosystems function, reduces the amounts of nutrients retained and the amount of carbon sequestered, and has other deleterious effects. Haddad points to some possible ways of mitigating the negative effects of fragmentation: conserving and maintaining larger areas of habitat; utilizing landscape corridors, or connected fragments that have shown to be effective in achieving higher biodiversity and better ecosystem function; increasing agricultural efficiency; and focusing on urban design efficiencies. 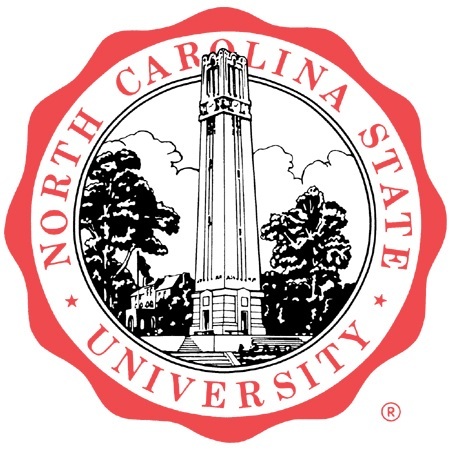 As a land-grant institution, NC State itself was born as an idea: that higher education should bring economic, societal and intellectual prosperity to the masses. From our origins teaching the agricultural and mechanical arts, we’ve grown to become a pre-eminent research enterprise that advances knowledge in science, technology, engineering, math, design, the humanities and social sciences, textiles and veterinary medicine.